Antoaneta Stefanova (Bulgarian : Антоанета Стефанова; born 19 April 1979) is a Bulgarian chess grandmaster and Women's World Champion from 2004 to 2006. She has represented Bulgaria in the Chess Olympiad in 2000 and the Women's Chess Olympiad since 1992. In 1989, Stefanova won the Girls U10 section at the World Youth Chess Festival in Aguadilla, Puerto Rico. In 1992, she played, at the age of 13, in her first Chess Olympiad in Manila, Philippines. In the same year she became European under-14 girls' champion at the European Youth Chess Championship in Rimavská Sobota. Stefanova won the Bulgarian women's championship in 1995. The World Youth Chess Championship is a chess competition for girls and boys under the age of 8, 10, 12, 14, 16 and 18. Twelve world champions are crowned every year. Manila, officially the City of Manila, is the capital of the Philippines. It is the most densely populated city proper in the world. It was the first chartered city by virtue of the Philippine Commission Act 183 on July 31, 1901 and gained autonomy with the passage of Republic Act No. 409 or the "Revised Charter of the City of Manila" on June 18, 1949. A norm in chess is a high level of performance in a chess tournament. Several norms are one of the requirements to receive a title such as Grandmaster from FIDE. The Fédération Internationale des Échecs or World Chess Federation is an international organization that connects the various national chess federations around the world and acts as the governing body of international chess competition. It is usually referred to as FIDE, its French acronym. The European Individual Chess Championship is a chess tournament organised by the European Chess Union. It was established in 2000 and has since then taken place on a yearly basis. Apart from determining the European champions, another object of this tournament is to determine a number of players who qualify for the FIDE World Cup and the knockout Women's World Championship. Varna is the third-largest city in Bulgaria and the largest city and seaside resort on the Bulgarian Black Sea Coast. Situated strategically in the Gulf of Varna, the city has been a major economic, social and cultural centre for almost three millennia. Varna, historically known as Odessos, grew from a Thracian seaside settlement to a major seaport on the Black Sea. The Tata Steel Chess Tournament is an annual chess tournament held in January in Wijk aan Zee, the Netherlands. It was called the Hoogovens tournament from its creation in 1938 until the sponsor Koninklijke Hoogovens merged with British Steel to form the Corus Group in 1999, after which the tournament was called the Corus chess tournament. Corus Group became Tata Steel Europe in 2007. Despite the name changes, the series is numbered sequentially from its Hoogovens beginnings; the 2011 event was referred to as the 73rd Tata Steel Chess Tournament. Wijk aan Zee is a small town on the coast of the North Sea in the municipality of Beverwijk in the province of North Holland of the Netherlands. The prestigious Tata Steel Chess Tournament takes place there every year. The Women's World Chess Championship 2004 took place from May 21 to June 4, 2004 in Elista, Russia. It was won by Antoaneta Stefanova, who beat Ekaterina Kovalevskaya in the final by 2½ to ½.
Alexandra Konstantinovna Kosteniuk is a Russian chess grandmaster and Women's World Chess Champion from 2008 to 2010. She won the team gold medal playing for Russia at the Women's Chess Olympiads of 2010, 2012 and 2014, the Women's World Team Chess Championship of 2017, and the Women's European Team Chess Championships of 2007, 2009, 2011, 2015 and 2017. Svetlana Vladislavovna Matveeva is a Russian chess player holding the titles of International Master and Woman Grandmaster. Zhao Xue is a Chinese chess grandmaster. She was the 24th Chinese person to achieve the title. Zhao was a member of the gold medal-winning Chinese team at the Women's Chess Olympiad in 2002, 2004 and 2016, and the Women's World Team Chess Championship in 2007, 2009 and 2011. She has competed in the Women's World Chess Championship in 2004, 2006, 2008, 2010, 2012, 2015 and 2017, reaching the semifinals in 2010. Lázaro Bruzón Batista is a Cuban chess grandmaster. He is a former World Junior Champion, two-time American Continental champion, two-time Iberoamerican champion and five-time Cuban champion. Huang Qian is a Chinese chess player who holds the title of Woman Grandmaster (WGM). She won the Chinese Women's Chess Championship in 2012 and the Asian Women's Chess Championship in 2013. Huang competed in the Women's World Chess Championship in 2001, 2004, 2010, 2012, 2015 and 2017. Ian Alexandrovich Nepomniachtchi is a Russian chess grandmaster. Viktorija Čmilytė-Nielsen is a Lithuanian chess grandmaster and politician.. She was European Women's Champion in 2011, and is a two-time Lithuanian Champion. In 2015, she replaced Remigijus Šimašius in the Lithuanian parliament. Vladimir Georgiev is a Bulgarian-Macedonian chess grandmaster. He became an International Master in 1995 and a Grandmaster in 2000. The World Rapid Chess Championship is a chess tournament held to determine the world champion in chess played under rapid time controls. Prior to 2012, the FIDE gave such recognition to a limited number of tournaments, with non-FIDE recognized tournaments annually naming a world rapid champion of their own. Since 2012, FIDE has held an annual joint rapid and blitz chess tournament and billed it as the Word Rapid & Blitz Chess Championships. FIDE also helds the Women's Word Rapid & Blitz Chess Championship. The 2018 world rapid champion is the Russian grandmaster Daniil Dubov. Ju Wenjun from China is the 2018 women's world rapid champion. Giorgi Bagaturov is a Georgian-Armenian chess grandmaster. He is a three-time Georgian Chess Champion and won the World Senior Championship's over-50 section in 2016. Dmitry Vladimirovich Andreikin is a Russian chess grandmaster, world junior champion in 2010 and Russian champion in 2012. Elina Danielian is an Armenian chess grandmaster and six-time Armenian women's champion. She has represented Armenia twelve times in the Women's Chess Olympiads (1992–2014). She played in the gold medal-winning Armenian team at the 5th Women's European Team Chess Championship in Plovdiv 2003. Aleksandra Yuryevna Goryachkina is a Russian chess grandmaster. She is a two-time Russian Women's Champion and was also twice World Girls Under-20 Champion. Anastasia Mikhailovna Bodnaruk is a Russian chess player who holds the FIDE titles of International Master (IM) and Woman Grandmaster (WGM). Lei Tingjie is a Chinese chess grandmaster. She won the Women's Chinese Chess Championship in 2017. Vladislav Mikhailovich Artemiev is a Russian chess grandmaster and a chess prodigy. He competed in the FIDE World Cup in 2015 and 2017. ↑ Crowther, Mark (28 April 1997). 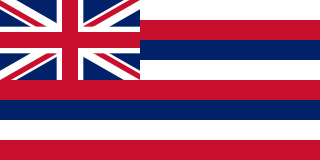 "TWIC 129: Fourth Hawaii International Chess Tournament 1997". The Week in Chess. Retrieved 11 September 2015. ↑ Crowther, Mark (9 July 2001). "TWIC 348: Andorra Open". The Week in Chess. Retrieved 11 September 2015. ↑ Schipkov, Boris. "FIDE News". Chess Siberia. Retrieved 10 September 2015. ↑ Crowther, Mark (29 July 2002). "TWIC 403: Wismilak International". The Week in Chess. Retrieved 11 September 2015. ↑ "Wismilak International, Surabaya 2002". IndonesiaBase. 1 October 2009. Retrieved 10 September 2015. ↑ "Standings of grandmaster group B". Tata Steel Chess. Retrieved 12 September 2015. ↑ "Antoaneta Stefanova new Women's World Champion". chessbase.com. 6 May 2004. ↑ "North Urals R7: Stefanova wins, followed by Ushenina, Sebag". ChessBase. 2008-08-03. Retrieved 17 April 2016. ↑ "Antoaneta Stefanova is Women World Rapid Champion". Chessdom. 3 June 2012. Retrieved 29 March 2015. ↑ "IMSA Elite Mind Games 2017 | The Week in Chess". theweekinchess.com. Retrieved 2018-01-04. Wikimedia Commons has media related to Antoaneta Stefanova .